Nothing is more uncomfortable than fighting with your bed sheets on a hot summer night. You are tired, sticky and restless, and all you want to do is enjoy a great night’s sleep. Thankfully, there are many things you can do to cool a room down before you hit the hay. Find out how to survive a hot summer night. An air conditioning unit will be your best friend during the summer months. Unfortunately, many homeowners do not have the right AC unit size in their property. For instance, a small unit will fail to cool down a large home so it will have to work twice as hard. Whilst a large unit within a small property will cool a home too quickly, so will be constantly turned on and off. Satin and silk might feel great on your skin during the colder seasons, but they will feel like you have placed your body in saran wrap during summertime. 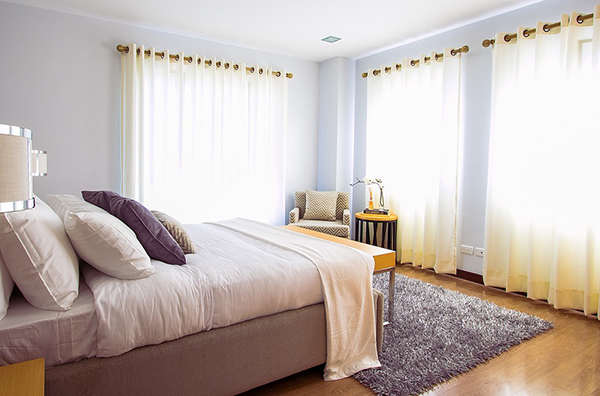 We, therefore, recommend storing the silk, satin and polyester sheets in a drawer, and instead buy cotton bed sheets, as they are breathable and promote airflow and ventilation across a bedroom. It might sound a little odd to place bed sheets into a fridge or freezer, but it is a great tactic for cooling down during a warm night. Simply place the sheets into an appliance for a few minutes before you go to bed. While it will not keep you cool all night, it can make you feel a little more comfortable when you go to bed, which could help to fall straight to sleep. Have you got a hot water bottle you use in winter? Well, you can also use it throughout summer, too. However, instead of pouring hot water into the bottle, you will stick it in the freezer to create an ice pack that can cool your bed right down. Pick your clothing wisely before bedtime, as they could determine how well you will sleep. It goes without saying that less is more during a hot summer night, which is why we recommend opting for loose cotton shorts, shirts or underwear. Many people are tempted to wear no clothing at all to remain cool, but this could result in your bodily sweat remaining on your body instead of being absorbed by the fabric. 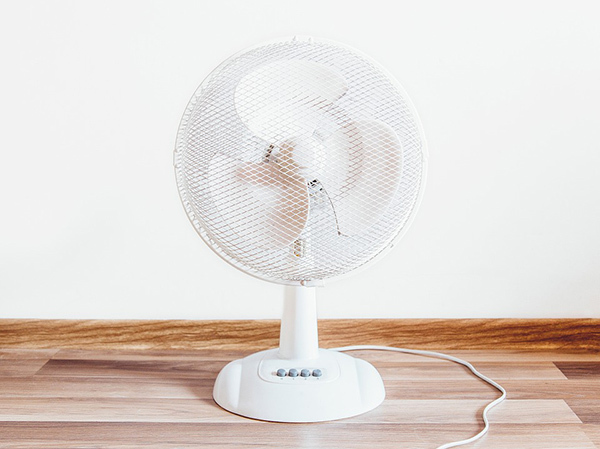 If you don’t own an air conditioner, place a fan across from the window, which will allow the outside air and the fan’s wind to combine to create a fantastic cross-breeze. You could even buy multiple fans if the room is far too warm each night. Did you know that cooling your pulse points will reduce your body’s temperature? We recommend applying a cold compress or an ice pack to your neck, wrist, groin, elbows, ankles and behind your knees. You will feel cooler in no time. The last thing you will want to experience during a hot night is another person’s rising body temperature. It might, therefore, be time to admit defeat and sleep alone, instead of spooning your partner each night. While you might miss the cuddling, you will not miss a sticky bed. So, sleep in the spare bedroom to enjoy a cooler night’s sleep until the temperature drops. Light bulbs can produce a considerable amount of heat, which can make your home warmer than it needs to be. We, therefore, recommend taking advantage of as much natural sunlight as you can and keep the lights off after dark. Those hot nights cannot only be uncomfortable, but all that perspiring can result in dehydration. 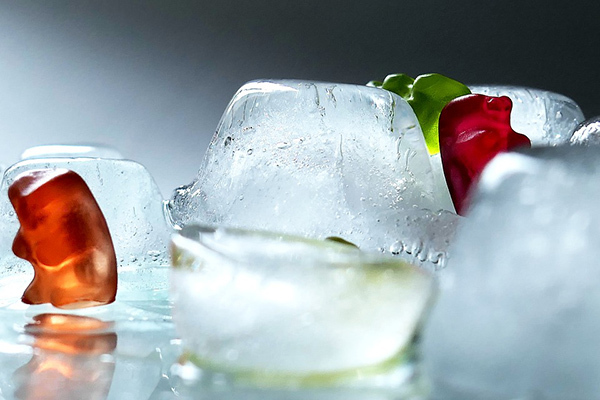 Cool your body down whilst remaining hydrated by enjoying an ice-cold glass of water before bedtime. An eight-ounce glass will prevent dehydration throughout the night, and you should drink another glass once you wake. Rinse off the summer by enjoying a tepid shower before you go to bed. It will lower your core body temperature, whilst washing away any perspiration. So, you will go to bed feeling cooler and cleaner. Hot air annoyingly rises, which can make those hot nights even more uncomfortable. To enjoy cooler temperatures each night during the warmer months, we recommend sleeping on the lowest floor level within your property. If you live in a one-storey property, it could even help to remove a mattress from your bed and sleep on the floor. Your feet are sensitive to temperature because they are similar to pulse points. It is, therefore, possible to reduce your body’s temperature by placing your feet in cold water before enjoying some shut-eye. We also recommend keeping a bucket of cold water by the side of your bed so you can dip your feet into it when the night becomes unbearably warm. All those gadgets and gizmos can produce a considerable amount of heat. So, don’t make a bedroom any warmer than it needs to be and turn off your electronics at night time and unplug any sockets. Anyone sleeping alone should adopt the spread-eagle position during sleep. This requires you to sleep with your arms and legs spread out, so they don’t touch each other. It can reduce body heat and will allow air to circulate across your body. Do you struggle to sleep during the summer? Have you got any top tips to share for surviving a hot night? Please feel free to write a comment below.